We should all eat bugs. Eating insects can have a positive effect on your life in a variety of ways. 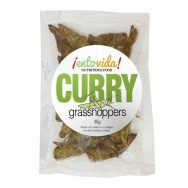 There is the personal experience, the global experience and the environmental impact that eating insects can have. 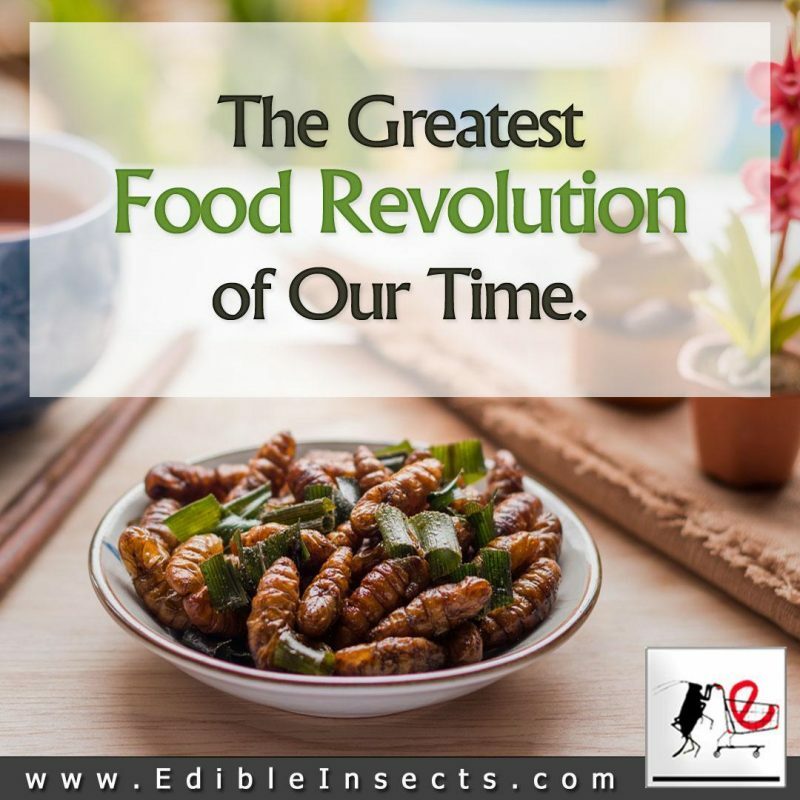 Adding insects to our diets will bring out new tastes and textures with a whole new palate experience. Insects are nutritious and packed with protein that has all of the essential amino acids. They are high in iron, calcium and B12. They are a great source of Omega 3 and are prebiotics – nutrition for probiotics. Meat production is a major cause of global warming and is unsustainable. Adding insects to diets worldwide will reduce the need for meat and therefore help fight global warming. Eating Bugs is Good for Us and Good for the Planet! Many people are surprised by how good insects taste; and that insects come in such a wide variety of flavors. Crickets are referred to as having a “nutty” flavor while, for example, water scorpions taste like pumpkin seeds, and katydids have a pistachio-like flavor. It may not surprise you that the hardest insect to eat is… your first one. After that, you’ll find it easier to accept, (sushi was ‘icky’ when new to North America until the California Roll was introduced) and pretty soon you’ll be laughing with your friends that it was once thought ‘Gross’. Insects offer a whole new culinary experience. Insects are easy to eat. This is one reason many people like them as snacks. Bugs are Healthy for You! Are insects what’s missing from our diets? They’re high in protein with all of the essential amino acids and they have as much calcium as milk and iron as spinach. Bugs exoskeletons are made from chitin. Insect chitin is very good for you because it’s a prebiotic (food for probiotics). Insects can be raised just about anywhere. Families can raise insects on table scraps and weeds from their garden. It takes very little feed to produce a pound of crickets. In Asia, where eating insects is common, many people harvest them from the wild. In fact, when locusts descend upon a field of crops, they can be seen as a bounty. Insects can be raised using less water, land and feed than traditional livestock. They can be raised vertically in urban environments and can be raised on food and farm waste. Adding insects to our diets is a smart and nutritional step forward. Protein plays an important part in global nutrition. Meat is a common way for people to get protein and the essential amino acids, but farming large animals is expensive and bad for the environment. Over a third of our arable land is used for agriculture. It takes over a thousand gallons of water to produce a single pound of meat. Insects need a small fraction of land and barely any water for the same amount of nutrition. 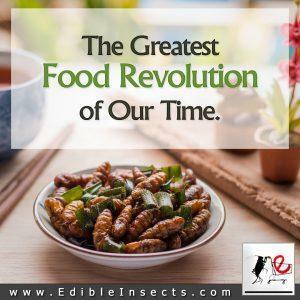 If we can make eating insects a ‘thing’ in North America, the rest of the world will follow and the future will be a better place for everyone. If you’re ready to eat bugs, it’s easy! 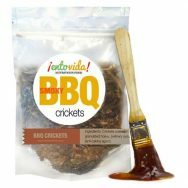 Just add edible crickets to your salads, roasted mealworms to your omelettes and use insects powder, like cricket powder, in your baking, your protein shakes, your meals etc. Or try some insect candy! Who can say “No” to chocolate?